Health is wealth. In the recent times a huge number people are gradually shifting to a healthier way of life. For this they are not just resorting to proper lifestyle, regular exercise but also engaging in adequate intake of healthy food. To add to their efforts, people have some of the useful online brands that enable them to shop for fitness products online and make their fitness regime even more useful. One such brand that helps customers with its weight loss products, health essential products, sports nutrition and also takes into consideration of men’s and women’s health specifically, is Guardian. This brand has been generating a good amount of customer delight recently. And in addition to that, today online customers who are also searching for a budget purchase from the brand, they can opt in for the Guardian offers and other discount coupons available online at HappySale. So keep browsing and save more. 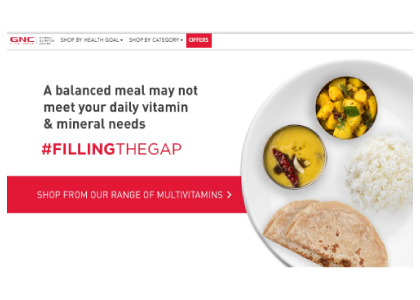 Shop now in Guardian online store and get Flat 20% OFF on all vitamins and supplements which are listed on the offer page. No coupon code required to avail this offer. Check out the products on the landing page. Hurry! Guardian offering Flat 20% discount on all gold card membership users. Get products like protein and fitness, vitamins and supplements, digestion support, weight management and more. No minimum order value required. Order Now! Verified on 25/4/2019 . Guardian warehouse sale is here. Shop various selected products like, Keratin Enhance Veg Cap, Cardio Cuts Grape Powder, Whey Protein Powder Amp and many more products in the given landing page and get up to 75% discount. No Guardian promo code required to get this amazing deal. Grab now. Verified on 25/4/2019 . Guardian is offering flat 20% discount on Herbs & Natural Remedies quality products. No offer code required to get this deal. Buy today and get this amazing discount. Verified on 25/4/2019 . Guardian is offering March end sale. Buy protein & fitness, vitamins & supplements, Herbs & natural remedies, fish oil & omegas, digestion support and weight management products online get up to 30% plus extra 5% discount. Valid for new and old users. Use the given Guardian coupon code and avail this offer.